Will Bad Boy Michael Phelps Lose His Lucrative Brand Sponsors? Fortunately for Phelps, there are plenty of programs to help with substance abuse. What’s less certain is how long the big brands that sponsor him—among them Visa, Nike, AT&T, Subway and Speedo—will stand by amid what’s turned into a string of very public and embarrassing incidents. The Phelps story offers a familiar dichotomy: A young and exceptionally talented athlete finds fame and fortune, then struggles to reconcile both with the reality that young men tend to behave like young men. For ordinary mortals, taking a few hits from a bong is hardly a newsworthy event. And two DUIs would probably result in a license suspension, or maybe some community service. 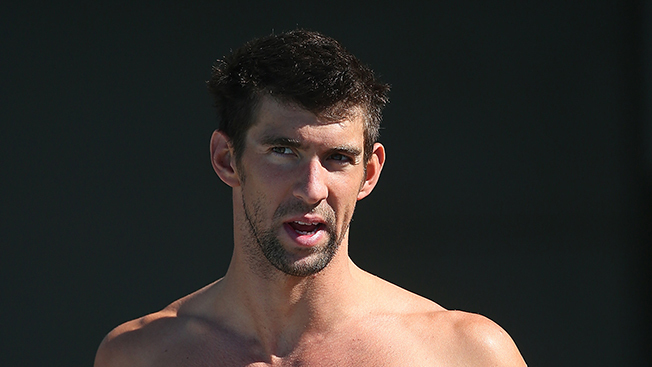 But the 29-year-old Phelps is anything but ordinary. With 18 gold medals, he is the most decorated U.S. Olympian in history. Which means that his screw-ups may have Olympian consequences—at least financially. In fact, such sanctions have impacted Phelps in the past. Kellogg’s declined to renew his contract in 2009 when a photo of him smoking pot at a college party went viral. Subway said it would stick by the athlete back then, but Swimming USA suspended him for three months and may have put the squeeze on Phelps to enter rehab after this latest episode. Last Tuesday, Phelps was nailed for driving under the influence in the Fort McHenry Tunnel in Baltimore. According to police reports, Phelps couldn’t walk a straight line during field sobriety tests and tested nearly double the legal limit for blood alcohol. He was also driving at double the legal speed limit and weaving across the double yellow lines. Swimming USA isn’t happy with the message Phelps is sending to young admirers. “The news regarding Michael Phelps and his actions are disappointing and unquestionably serious. We expect our athletes to conduct themselves responsibly in and out of the pool,” the organization said in a statement. So, will sponsors start dropping Phelps? The answer depends on who you ask. Crutchfield suggested that brands may start doing a backstroke away from the star. “This sort of reckless behavior that lacks any sense of good judgment is an awful example of what not to do when you're a famous sports star. Brands don't want to be associated with this sort of behavior," he said. Marshall added that Phelps is aided by an overall perception that he’s a nice guy—unlike, say, a domestic abuser like Ray Rice. Time will tell how Phelps finishes in this race.